Last weekend marked the annual Care Home Open Day initiative, which sees thousands of care homes open their doors. 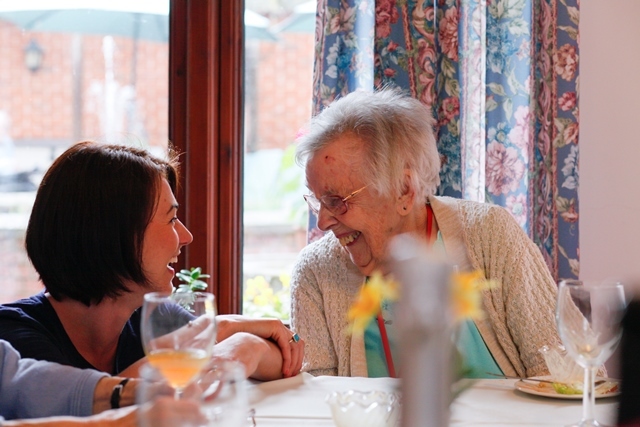 Friends of the Elderly’s involvement in the campaign is part of its ongoing commitment to placing its care homes at the heart of their local communities. At our Old Vicarage care home in Moulsford, Oxfordshire, residents and visitors enjoyed a beautiful buffet lunch and live musical entertainment. It was a great opportunity to welcome old and new friends in to the home to spend time with the residents and staff. 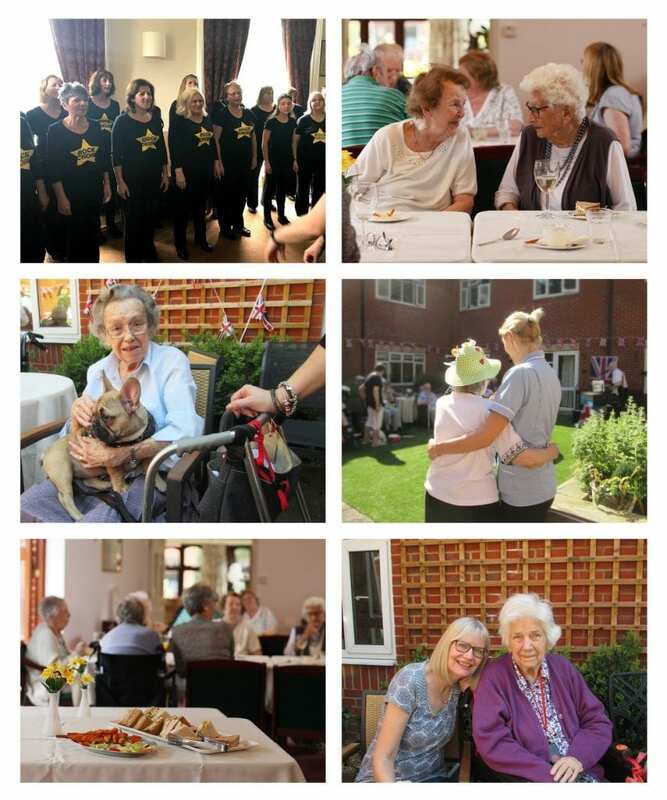 The Lawn care home in Holybourne, Hampshire, enjoyed music from the local Rock Choir. There were 25 singers in total and whilst they were only supposed to perform for 20 minutes, they ended up staying much longer. All of the residents were singing and clapping along to the songs – many have asked when they will be able to come back! The sunshine at Bernard Sunley in Woking, Surrey, was appreciated by residents and guests alike, who spent lots of the day enjoying one of the home’s courtyards. The Mayor of Woking was kind enough to join the celebrations and spent time engaging with the home’s residents. Musical entertainment and refreshments were also enjoyed. At Redcot in Haslemere, Surrey, visitors and residents were able to make use of the beautiful gardens overlooking the South Downs thanks to the glorious weather. Pimms and strawberries were served whilst residents and visitors listened to musical entertainment. Little Bramingham Farm in Luton, Bedfordshire, and the Retired Nurses National Home in Bournemouth, both hosted afternoon tea events for visitors and residents whilst they listened to some live musical performances. To find out more about Friends of the Elderly’s care homes in your area, click here.